How often do you hold your heart? To take the time to acknowledge its beats, its rhythm..
Take the time to acknowledge the stress and daily grind of life that you put it through. Take a moment. Right now. Put your hand on your chest, feel it. This muscle that serves you, without fail, every moment. Close your eyes,.. breathe out. breathe in. The gentle beat as it pumps your life through your body. Breathe out your stress, breathe in your calm. I had this amazing experience as I was winding my through a divorce and custody battle with my ex-husband. I had a massage. The moment the therapist set her hands on me, she sucked in her breath and said, you have a heart knot. A heart knot? What do you mean? A heart knot. It’s very tight. You’ve been through some trauma. If you’re open to it, I’ll hold your heart at the end of your massage and see if we can loosen it. At this point, I had an image from Grey’s Anatomy pop in to my head, of the surgeons massaging a heart that was on its last beats. Ok, I agreed, game for what this might entail. At the end of our hour together, as I was lying on my back, she cupped her hand over my chest, above my heart, and positioned her other hand under my back, just below my heart. She gently rocked my body from side to side, telling me to focus on my breathing. After a couple of minutes, what I can only describe as a bubble drifted up from my chest and popped near the base of my throat and a few tears drifted from the corners of my eyes. Wow, I said. Was that it? That was a bit. She said. You’ve got a long ways to go. And we don’t have the time today. Since that day almost eight years ago, I have observed my body’s reactions to events, to people, to what I hold in. When I feel the stress of work, of my personal demands on my body; of all the other ways I’ve let the external forces become internal battles, and manifest them physically. During my separation, I got quite ill – tonsillitis and bronchitis that took two different sets of antibiotics and a week worth of sleep to combat. After an incredibly busy summer at the Resort, I broke my ankle at work, forcing me to not only slow down, BUT ask for help from others, a difficult thing for a single independent mom to do. The act of holding my heart, reminds me to calm down, to let go and feel the power that serves me. This story of holding my heart has become more poignant for me this past week, through Remembrance Day and the stories of the Soldiers of Suicide, soldiers that return from wars and police action physically unscathed, yet with their own demons that won’t subside, and of a crisis hitting very close to home with a friend whom is suffering an internal battle within their own mind. How can we hold the hearts of others, to help them before it becomes too late, before they succumb? Is it being kind when we don’t need to be right? Or simply using the knowledge that we don’t know what is going on, and simply offer help or being there for them. In sharing who I am, how I hurt, how I hurt myself, challenging me to be who I am without fear. I have always been the master of the brave face, of “everything is fine” – the one that everyone thinks has it all together. I have been the teen with suicidal thoughts, binge drinking my way through high school..
the overextended woman who volunteers for everyone, everything because she is trying to fill in her time to not have to deal with the inadequacy and disappointment she feels within herself for not doing more, for not being better as a mom, a wife, a friend, an employee. These disapprovals with myself have hurt my heart over the years, causing me to get to a place where my chest is always tight, heart tightly wound a thick knot of shame. Through the constant check-in with my breathing (always out first, then in) and a hand on my heart reminds me there is a power me that is strong. I have a dear friend that I adore, but this person can drive me crazy. Challenges me, my way of thinking, pushes me out of my comfort zone..
One particular day after one of our visits over coffee, I was a bit wound up so I sat on the beach and looked down to find a heart-shaped rock. Gripping it in fingers, rolling over and over in my palms, I felt a bubble of laughter lift from my throat, and a calm descend. This is now become my talisman – a reminder to hold my heart even with those I love most. 1 – hold your heart, by yourself if you can stretch that way, or with a loved one. 2 – Share the message– Through kindness, Donate a blanket, clothing food to someone in need; buy a coffee for the person behind you; LISTEN to a friend… kind words, thoughts and action can make a world of difference. 3 – go for a walk in a special place and find your own heart rock as a reminder to be kind to yourself, to your heart. During World War Two, my daughters’ great uncle was captured after his plane went down in the European countryside. He was held in a prisoner of war camp until he and a fellow Allied soldier escaped. After a fortnight of dodging German troops in the marshy swampland, they eventually found passage over to England. A short time was spent recuperating in England, and then he was released home to Canada. Arriving first in the United States, up to Ontario and then home to Vancouver Island, the record of his journey home appears relatively uneventful. Only a few hours after his arrival to his parents’ homestead, his mother discovered that he had taken his life in his childhood bedroom. It was June 1st, 1945. The inquest after his death revealed that he received no greeting from The Red Cross, which handled the repatriation and “welcome Home” aspect of Veteran’s Services at that time. Medals awarded, both posthumous and prior to his death proved his bravery and service to country. A model soldier, a hero. Lost. This year, lest we forget our heroes that have returned home safe, yet not fully sound. They still live with images and memories that will not dissipate with the passage of time. We have soldiers that are hurting, and they must be helped. And never forgotten. There is an effort to remember those lost; Renata D’Aliesio’s article last week in the Globe and Mail tells of the “Soldiers of Suicide” Memorial. Alison Howell’s article in the Globe and Mail today discusses the need to for our new government to further support Veterans on their return home in the modern age. 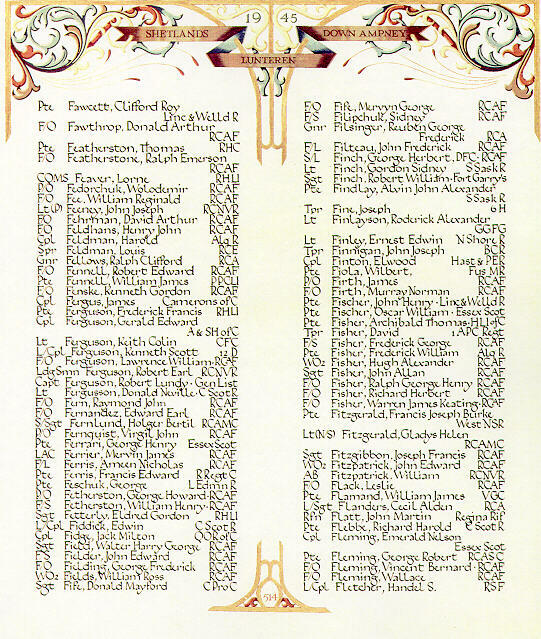 For my children – the link to your uncle’s name in the WWII Book of Remembrance.